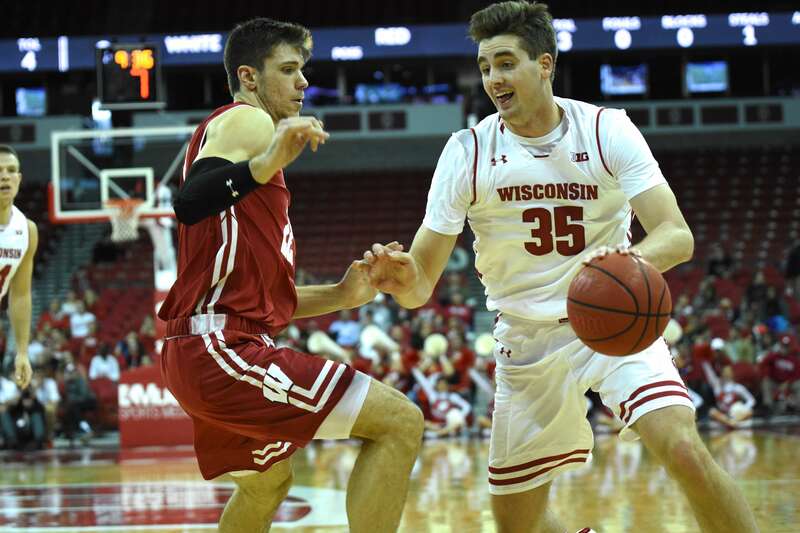 Starting forward Nate Reuvers has quietly been having a stellar season for the University of Wisconsin men’s basketball team. 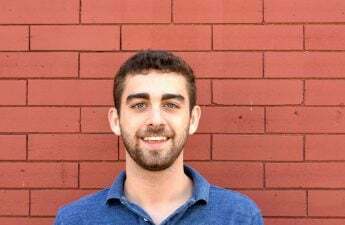 Perhaps overshadowed by the scalding hot start of D’Mitrik Trice or the always impressive play of Ethan Happ, Reuvers has been a developing presence for the Badger frontcourt. On the year, Reuvers is tied for the Big Ten lead in blocks with Maryland forward Bruno Fernando and Michigan center Jon Teske with 18 total. That being said, Reuvers has this lead playing in only 18.8 minutes per game, over six fewer than Fernando and Teske, and dominates the Big Ten lead in blocks per 40 minutes with 4.26. Compare this start to last year, when Reuvers had 26 total blocks over the course of the entire season with 2.2 per 40 minutes. A large part of this may be Reuver’s weight gain this year. The forward, standing at 6 foot 11, bulked up from 215 pounds last year to 240 pounds coming into this season. This has allowed Reuvers to be more physical on the defensive side and increase pressure on inside shots. “I’m able to hold my ground and you can contest shots a lot better. Before they would be able to back me down right to the rim but now I’m able to hold my ground and make them take a tough shot,” Reuvers said. 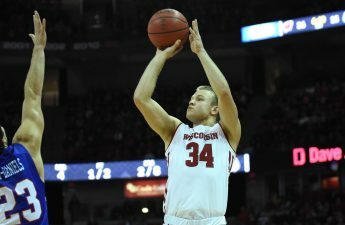 His most impressive performance came in the first round of the Battle 4 Atlantis tournament versus Stanford, where Reuvers tied Brad Sellers’ Wisconsin record with nine blocks in a single game. 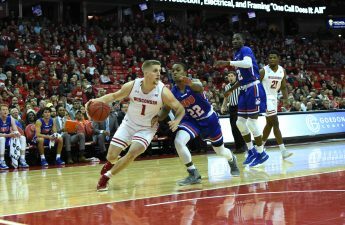 Facing some early game turnovers, Reuvers staunch defense kept the Badgers in what could have been a much tighter matchup than the 62–46 result. While Reuvers was happy to tie the school record he was most proud about his ability to back up and help his teammates after some defensive mistakes in the contest. “Helping my guys out when they get beat and playing help defense that’s something we talk about all the time. When one guy breaks down another guy’s going to step up,” Reuvers said. If he keeps up the current pace, Reuvers could break Sellers’ single-season mark of 60 blocks as well. Assuming a 35 game season, Reuvers would finish with 70 blocks on the year, though those numbers are certainly inflated from his performance against Stanford. Offensively, Reuvers has also been impressive, shooting 50 percent from deep while increasing his point totals slightly from 5.3 to 6.8 per game. Despite this, Reuvers still has limited playing time with the team, getting around 20 minutes per game compared to his counterpart Happ who will play over 30 a contest. 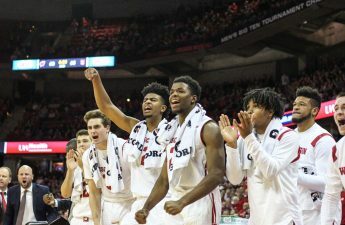 But with Happ graduating at the end of the year, Reuvers’ turn at the helm of the Badger frontcourt will likely come sooner rather than later. In recent history, Badger big men have been the face of the Wisconsin basketball program, from Jon Leuer to Frank Kaminsky to Ethan Happ. These are enormous shoes for Reuvers to fill — both literally and figuratively — but the sophomore realizes that his play style differs from his predecessors. Leuer and Kaminsky were cut from a similar cloth as Badger big men, with solid footwork and perimeter shooting. But Kaminsky, arguably the best player in program history, was the total package for the Badgers. Dominant inside and out, Frank the Tank could work the post and nail a deep three with ease. Happ departed from this mold a bit. Though he has some of the best — if not the best — footwork in college basketball, the forward’s inconsistencies in developing a jump shot or in hitting free throws have caused problems for the Badgers in floor spacing and late game situations. Reuvers praised Happ’s inside play and hopes to use him as an example for improving his own post moves. Though he can’t play inside or rebound quite as well as Happ, Reuvers’ shooting abilities at forward have been an enormous asset for Wisconsin offensively this year. Reuvers’ threat from mid-range and deep has drawn bigger defenders away from the basket, giving Happ more opportunity to score down low. While this is an especially helpful compliment for Happ, who lacks outside scoring abilities, Reuvers’ presence will improve the entire team’s inside efficiency even after Happ’s departure. 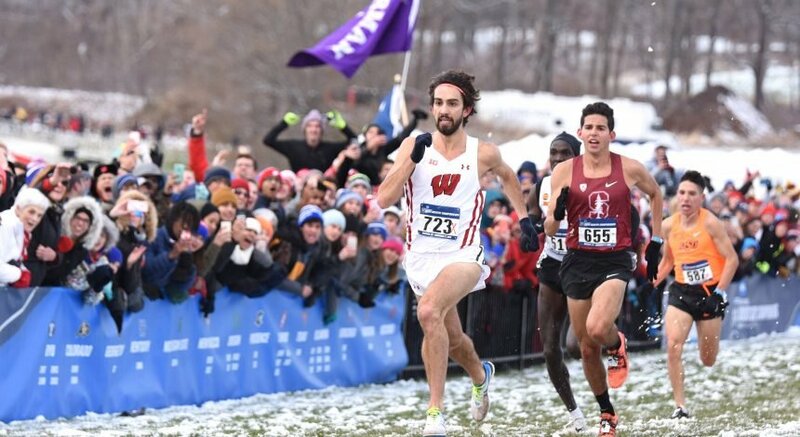 It would be unfair to put the expectations of past Wisconsin greats on Reuvers’ shoulders, but if he can sharpen some of his existing skills the future looks incredibly bright for the young forward.